Medical imaging has grown dramatically from the days of simple X-ray imaging. New and emerging medical imaging technologies now give healthcare professionals unprecedented ability to visualize internal structures and processes of the human body. As that technology has expanded, so have the potential markets for medical imaging devices. Today, every global market demands the latest in medical imaging, and manufacturers have almost unlimited potential for growth. With expanding market opportunities comes an expanding need for accurate, professional translations of the extensive documentation that accompanies these devices. As a leading translation services provider for technical and other documents for global medical device manufacturers, ILS offers a complete range of translation services to meet your needs. The highly technical nature of medical imaging device documentation demands experienced, specialized translators. At ILS, we have established long-term relationships with professional, native-speaking translators, in 180 languages, available to meet any need. Each has specific education and expertise in the medical technology and/or life sciences fields. Each project uses two fully qualified translators per language to ensure accuracy and is managed by project managers with specific medical device experience, supported by the latest Translation Environment Tools (TEnT).  Our ISO 9001:2015-certified quality assurance processes and experience with CE mark-related projects are additional assurances that you will receive quality deliverables. We provide end-to-end translation capabilities to produce completely formatted and verified translations to meet your exacting requirements and schedules. All ILS medical device translations are meticulously accurate, culturally aware, and tailored to the needs of professional or lay readers, depending on the document type. From Instructions for Use (IFUs) to patient information documents, each communication is translated to suit the needs of your target audience. Our translation price structure is highly competitive, and our performance and service is unmatched. Traditional X-Ray Imaging Systems—At ILS, we have extensive experience translating documentation for stationary, portable, and dental X-ray equipment. For new product introductions and global market expansions, rely on us for complete, timely, cost-effective translation services. Computed Tomography (CT) Imaging Systems—As a well-established 3-dimensional imaging method, CT devices are used throughout the world. Manufacturers of CT imaging systems can rely on our expertise to assure timely, cost-effective translations for any documentation and interface requirement you may encounter. Magnetic Resonance Imaging (MRI) Systems—In use since the 1980s, this technology provides superior imaging of soft tissues, without the risks of ionizing radiation. MRI technology produces new, more advanced devices on a regular basis. At ILS, native-speaking translators with experience in MRI technology are available in languages for all global markets. Documentation, software interfaces, and more require flawlessly accurate translations, and ILS delivers with on-schedule delivery and quality-assured performance. Nuclear Imaging Technology Devices—From PET imaging to scintigraphy and SPECT tomography, advances in medical imaging are providing improvements in visualizing and treating a wide range of medical issues. As these technologies expand into new markets, the demand for accurate translations grows. Rely on the specialized medical device translators and experienced project management at ILS for all of your translation needs related to imaging systems. Ultrasound, Echocardiography, and Other Imaging Systems—Medical imaging systems require extensive documentation. Accurate translation of that documentation, as well as software controls and user interfaces, is needed whenever these systems are marketed globally. As a leader in medical technology translations, International Language Services is ideally suited to meeting all of your medical device translation requirements. Translating a wide range of materials for major medical device manufacturers has been a primary focus for ILS for over 35 years. We have developed an extensive resource pool of native-speaking translators in all languages, with specific training and experience in your industry. Our translation project managers also have years of experience in the field and adhere to our documented ISO 9001:2015-certified quality control processes to ensure accuracy for every project. Our reputation for quality, attentive service, competitive pricing, and on-schedule delivery assures our clients of complete satisfaction.